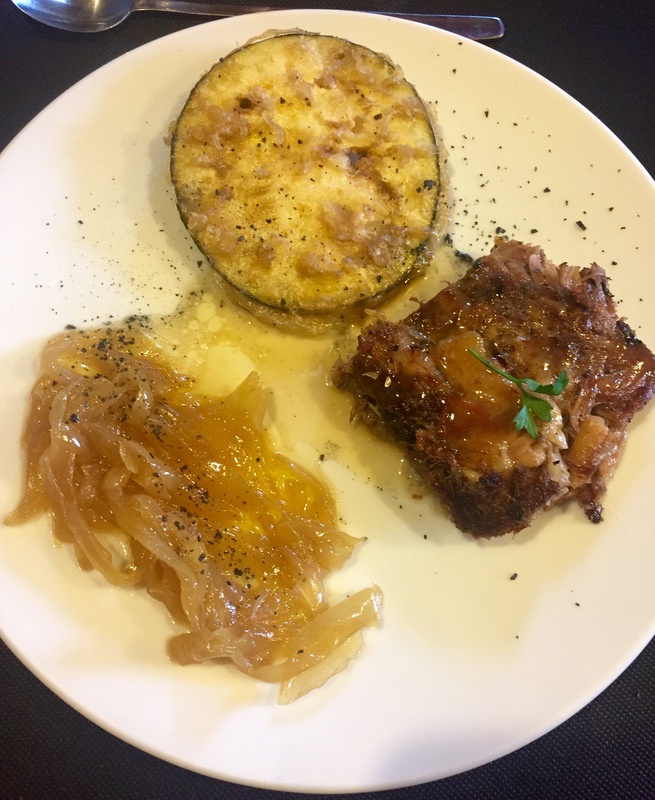 I was going to call this Spanish story “Eating my way along the Cistercian Route” but decided that sounded rather greedy and most importantly it’s far from the whole truth. Yes, there was a lot of eating going on and very good eating it was, too, but there was so much more to explore and discover in the footsteps of the Cistercians. 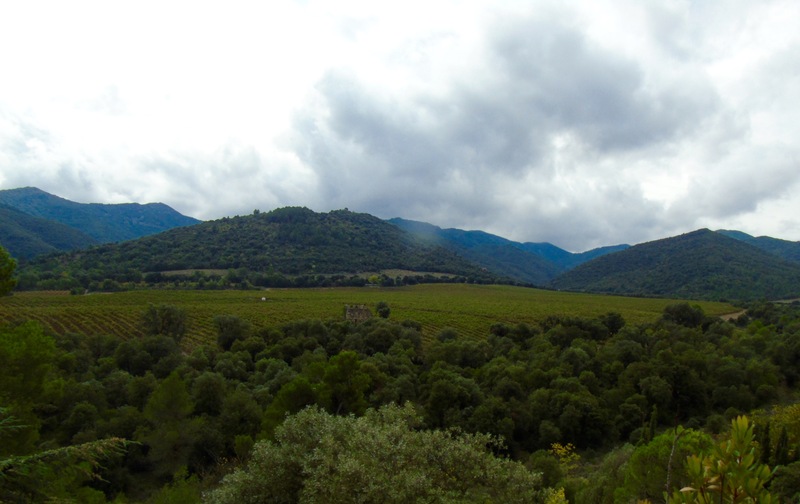 The Cistercian Route connects the three monasteries of Santa Creus, Poblet and Vallbona. 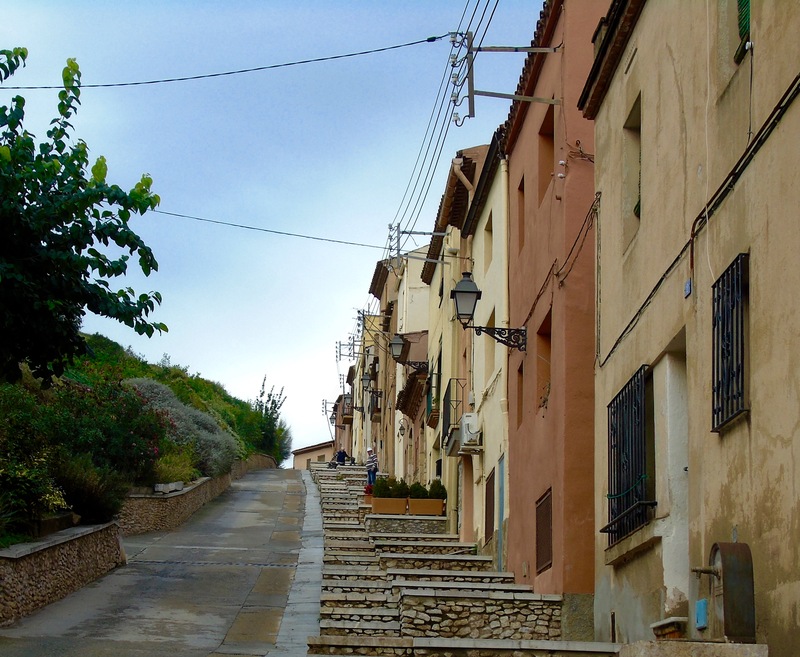 It’s a beautiful land about an hour’s drive from the region’s vibrant capital, Barcelona. 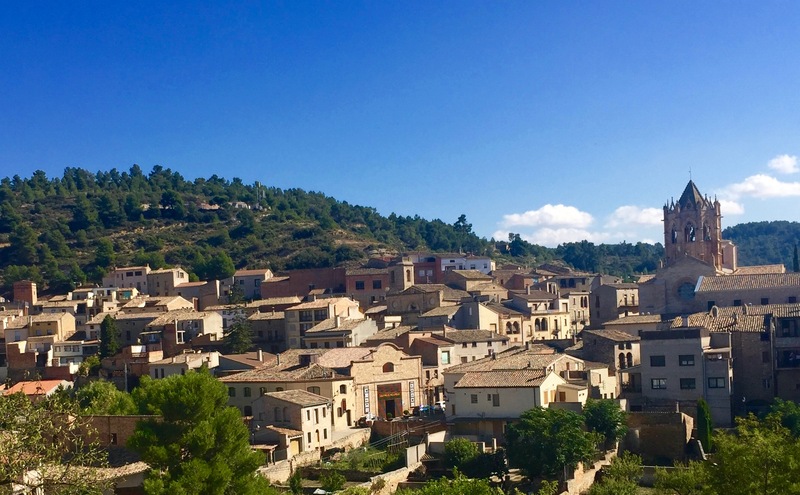 The area’s a hiking paradise with its footpaths of 105 kilometres (the most in Europe) and, as I soon discovered, has amazingly warm and welcoming people, spectacular scenery and some very interesting traditions. Oh and there’s all the amazing food (and wine) of course. We took to the road ready to explore. First stop Valls, which boasts a unique tradition as the birthplace of the human towers or Castells. The community comes together to rehearse three times a week and there are international competitions with serious rivalry. I was lucky enough to witness a rehearsal and was soon awed by the spectacle as people clamber over each other to create a towering structure. I don’t think I’ve ever experienced such combined speed, flexibility, strength and dedication. Simply marvellous. 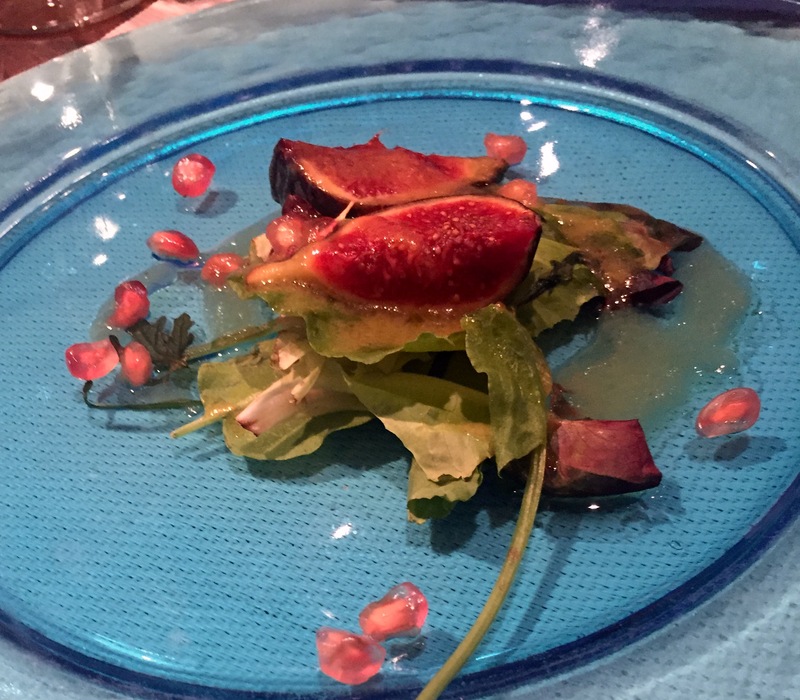 At the restaurant Test in the Hotel Class Valls we were served up a range of delightful dishes. Like this colourful pineapple carpaccio topped with melt-in-the-mouth Spanish ham and a zesty dressing. Another Catalan tradition involves calcots, which are sort of like a sweet spring onion. Their harvest is celebrated every year when they are cooked over fire and peeled and eaten by hand with a generous helping of romesco sauce. 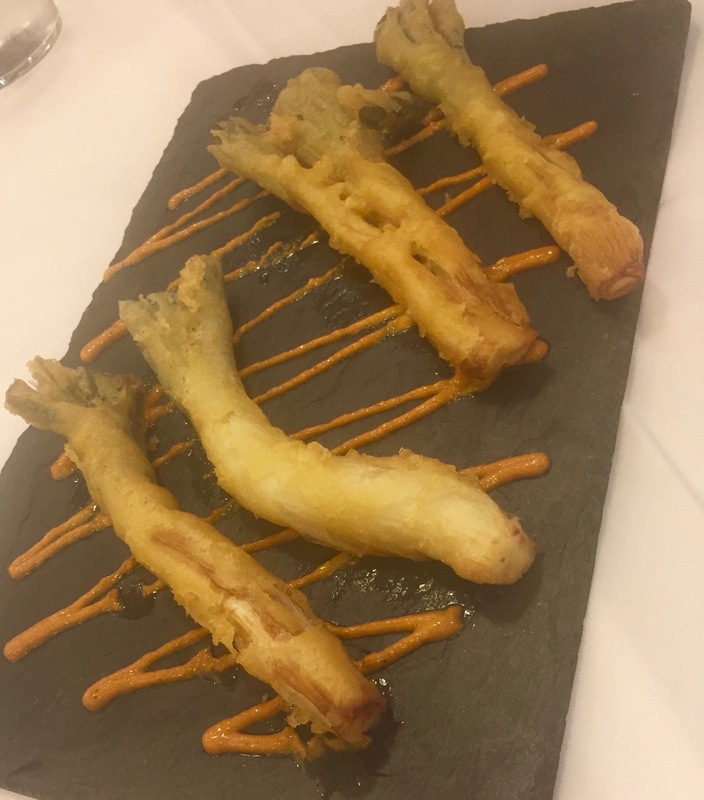 It wasn’t harvest time when we were there but I did tuck into tempura calcots which were tasty, sweet, juicy and crunchy. Worth going back for that big celebration, I reckon. On to the first monastery in the puzzle. 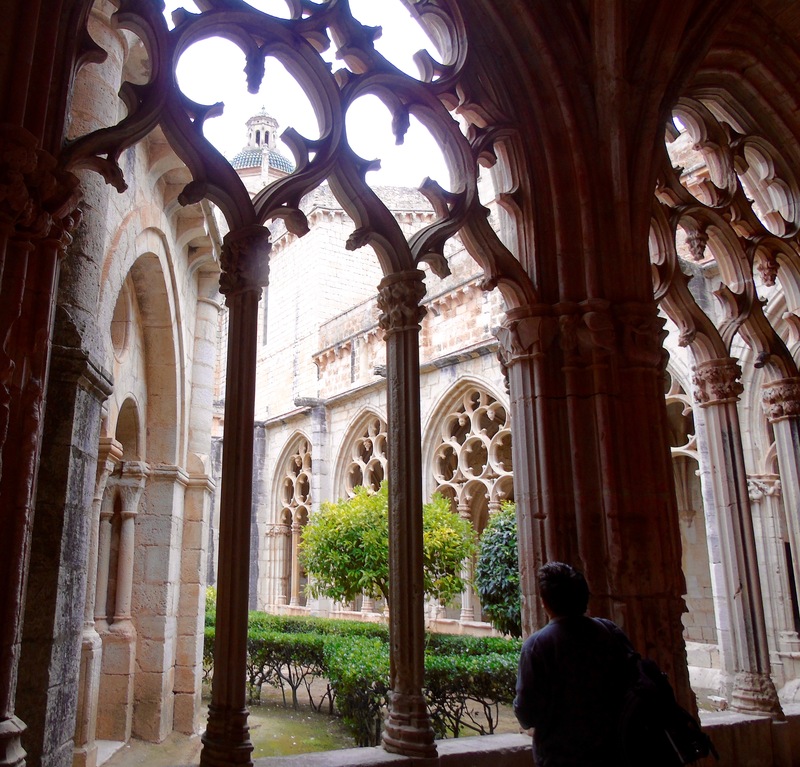 Santa Creus, which was founded in 1168, is amazingly well-preserved and provides a great insight into Cistercian life. The stories are fascinating and the sheer scale of the place and its grand architecture are entrancing, making it easy to imagine a life very different and somewhat magical. 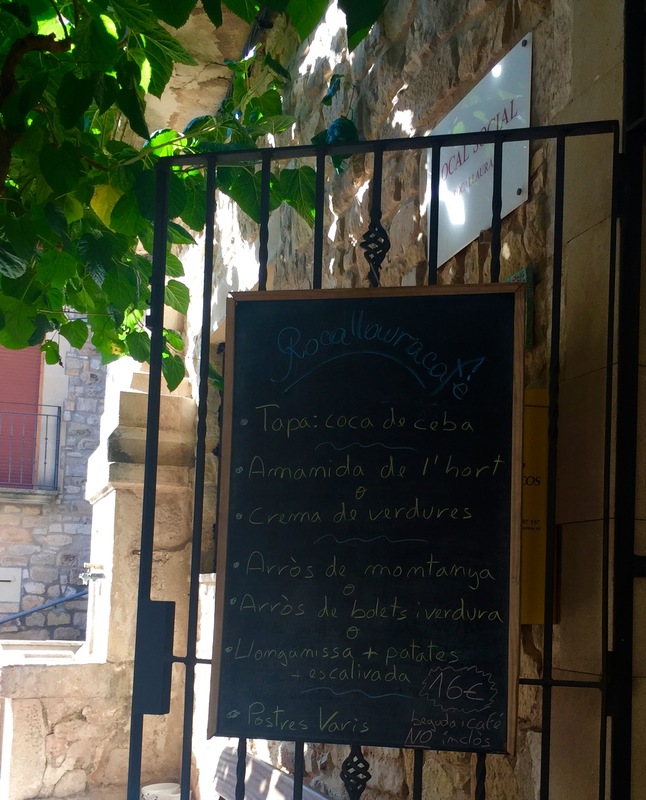 Just outside the imposing gates of the monastery is the cosy local – Restaurant Catalunya. 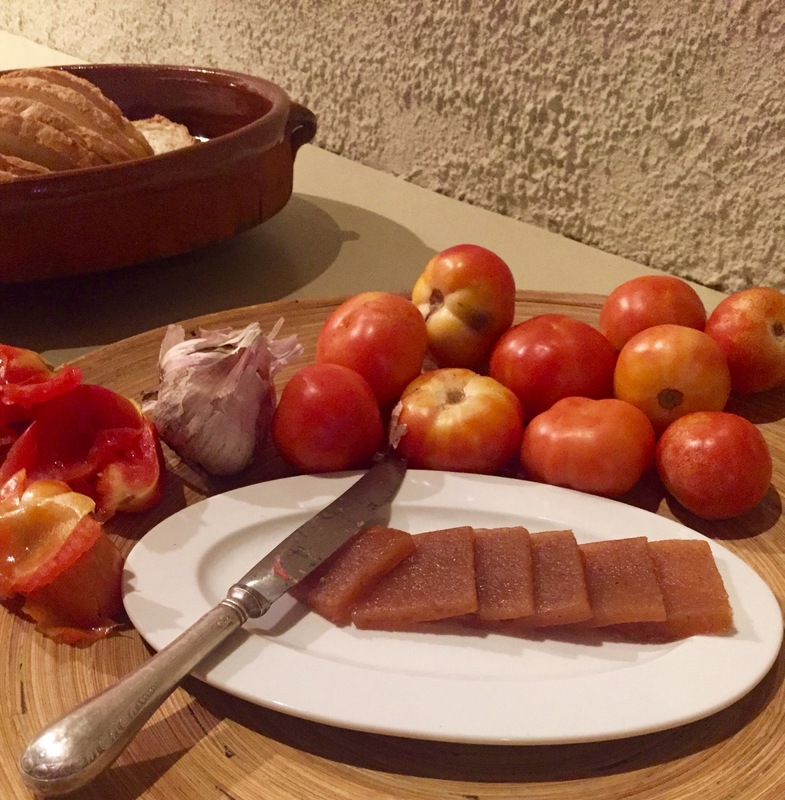 We ordered our main courses and were then fed plate after plate of local specialities – soft and sweet ham, anchovies, tomato toast, aubergines, they just didn’t seem to stop coming. 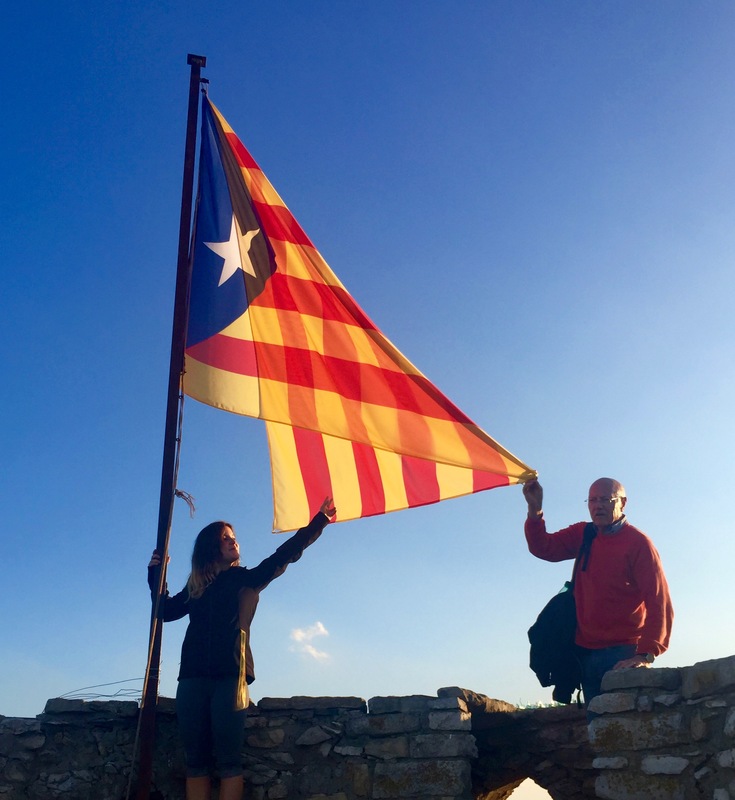 It was a real feast with the warmest of welcomes and plenty of the local vino – that’s the Catalan way. With all the deliciously tempting food to enjoy it’s great that there are plenty of hiking opportunities. Time to burn off some of those calories. 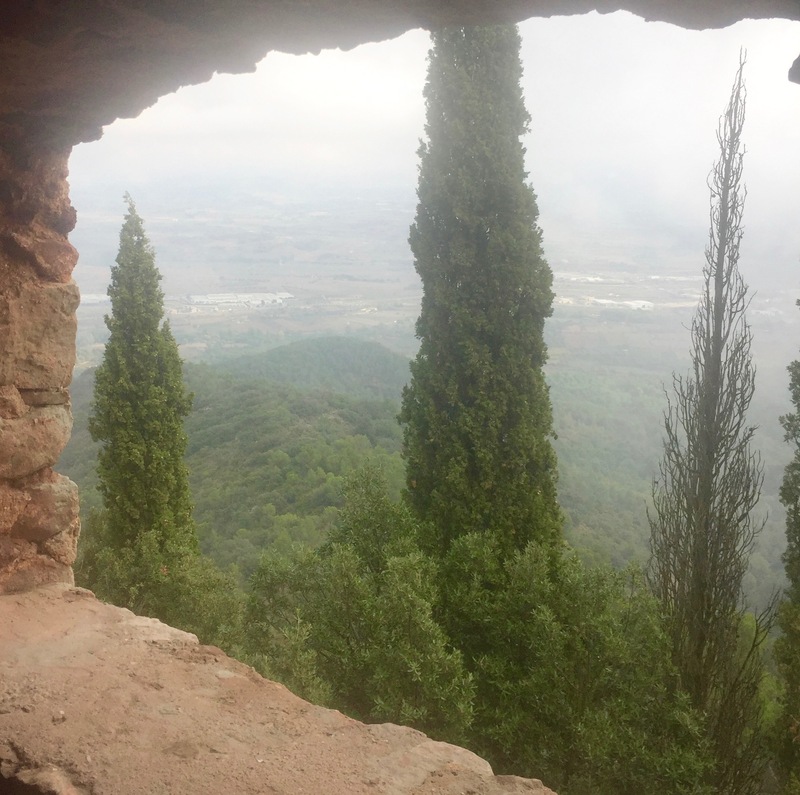 We headed up the mountain from Montblanc up to the abandoned L’Ermita Sant Joan. Rocky, winding pathways through the depths of the forest, made even more beautiful by the swirling mist, led us to what felt a bit like the top of the world. A meandering descent and we headed for today’s lunchtime venue – Riudabella Castle. Yes, lunch in a real castle – just when you think dining can’t get any better. Riudabella has recently started offering accommodation in the form of large studio-style apartments with fabulous vineyard and forest views – providing the perfect retreat. We tucked into an amazing lunch in the huge,magnificent dining room, starting with a beautifully colourful array of canapés. 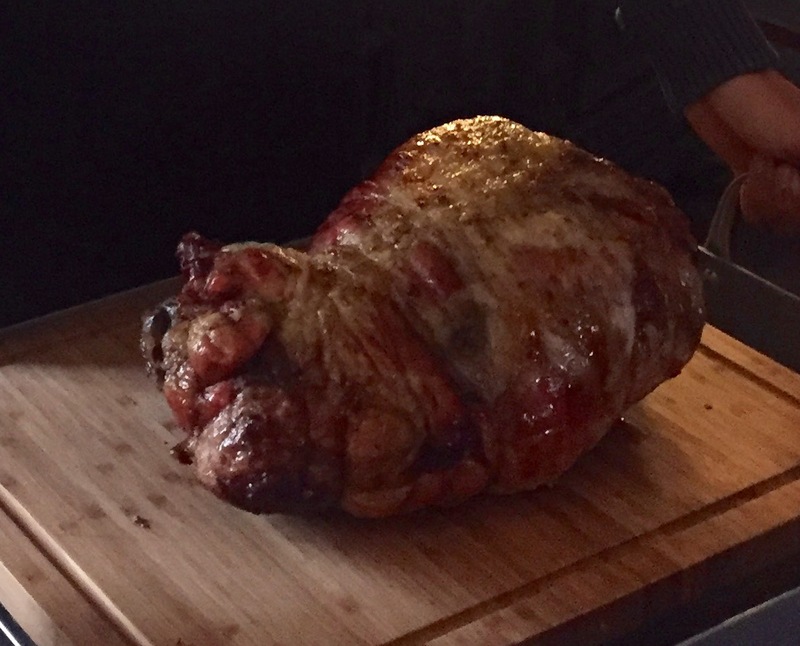 For mains a delectable leg of pork which had been cooking in the medieval oven for 15 hours – so succulent! For dessert a local treat awaited. 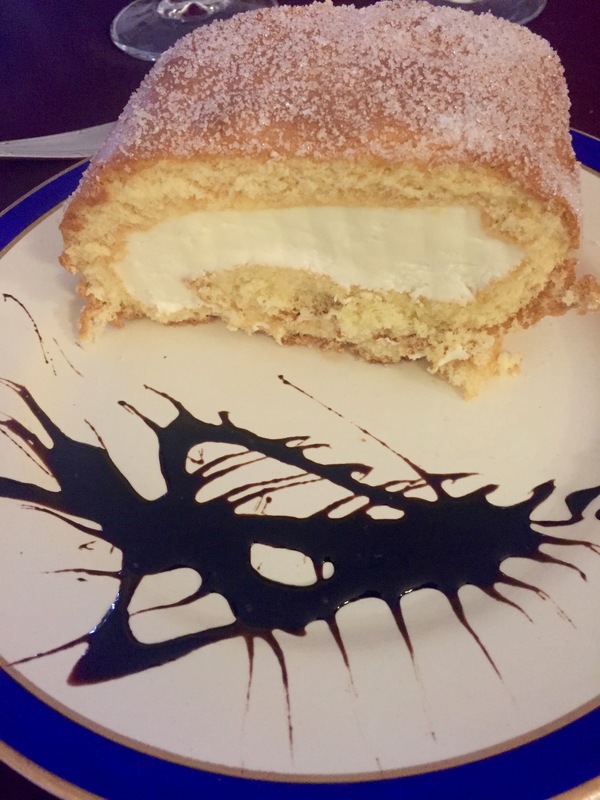 This is called Gypsy’s Sleeve – a delightfully light sponge rolled with lashings of cream and topped with sugar. One of the tastiest puddings ever, imagine eating sweetly flavoured fluffy clouds. 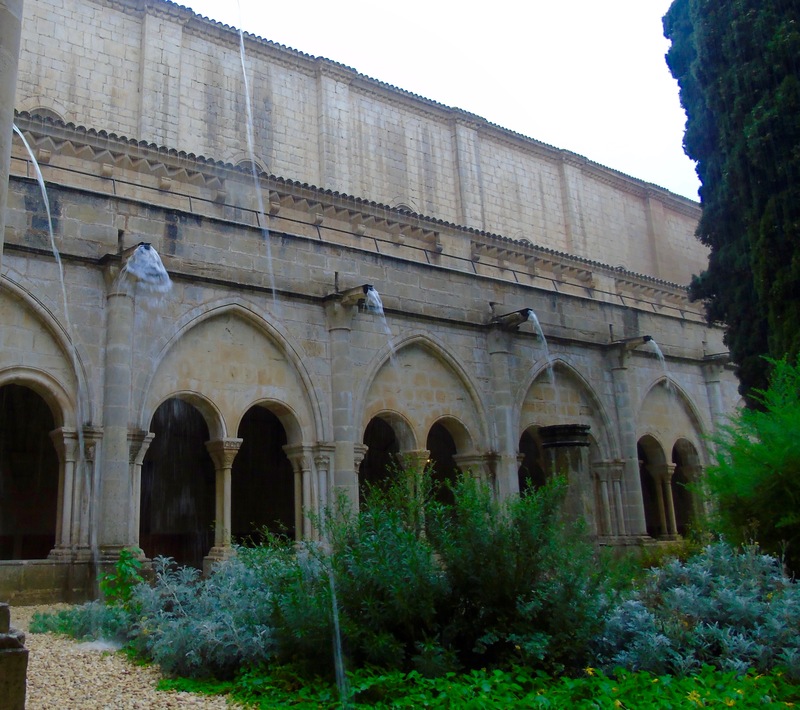 Poblet is the largest inhabited Cistercian monastery in Europe, so keep your eyes peeled for one of the resident monks as you wander its corridors. A huge rain storm erupted during our visit providing a dramatic atmosphere for our explorations. From an ancient monastery it was time to take millions more steps back in history to the Espluga Caves. 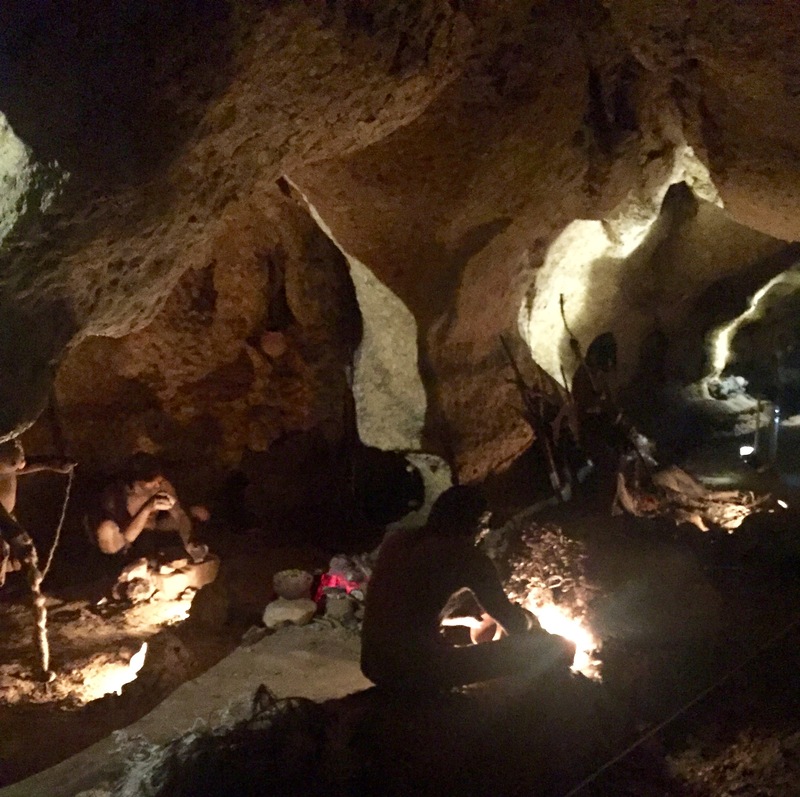 Take a walk through eerie caves with displays explaining Spain’s prehistoric past and the story of the humans who made these caves their home for thousands of years. It’s a ghostly and somewhat spiritual experience. And then to dinner at the Hostal des Disset Fonts in L’Espluga de Francoli. 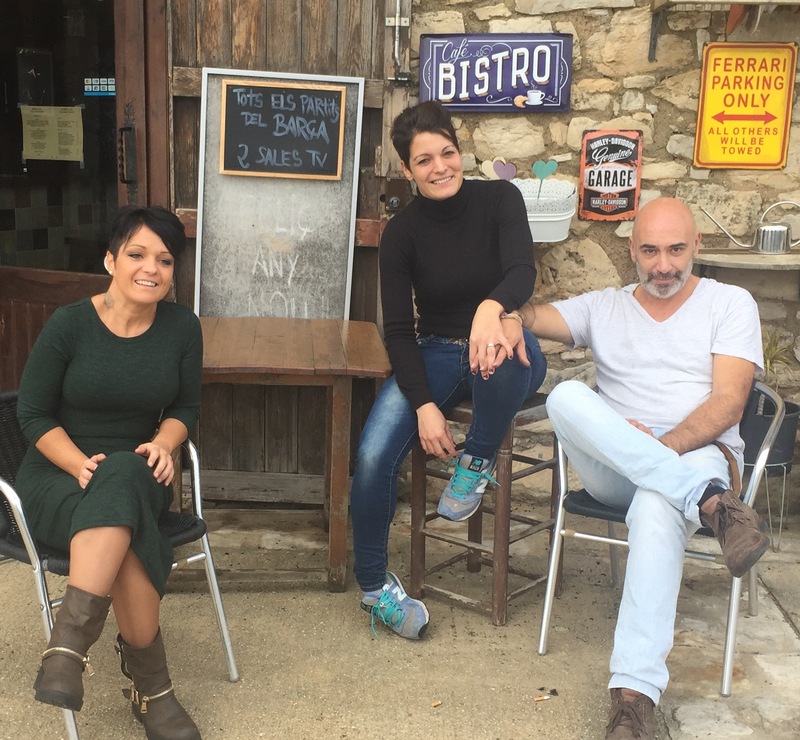 We ambled through the streets of the sleepy town to our destination – another warming experience of great local food and wine. 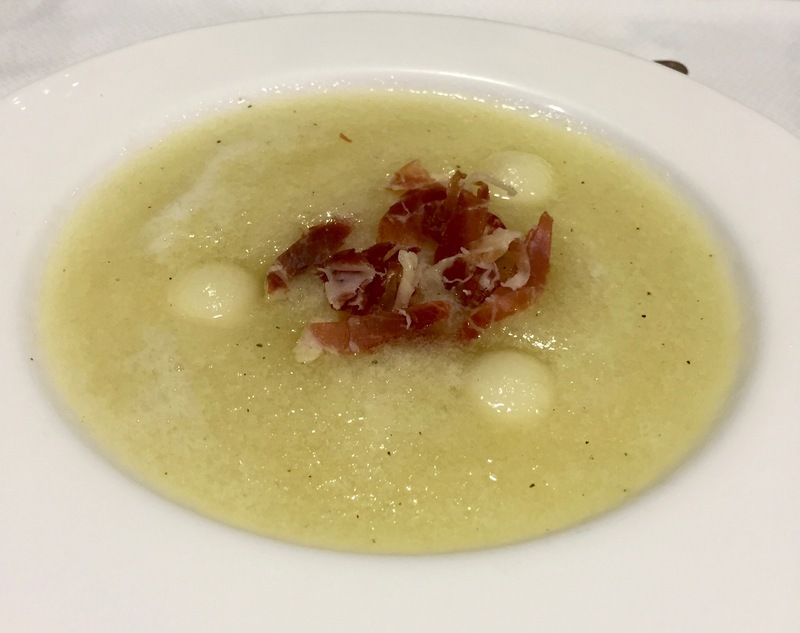 One of the nicest starters I’ve had in a long time, the sweetness of the chilled melon soup was perfectly complimented by the saltiness of the Serrano ham. 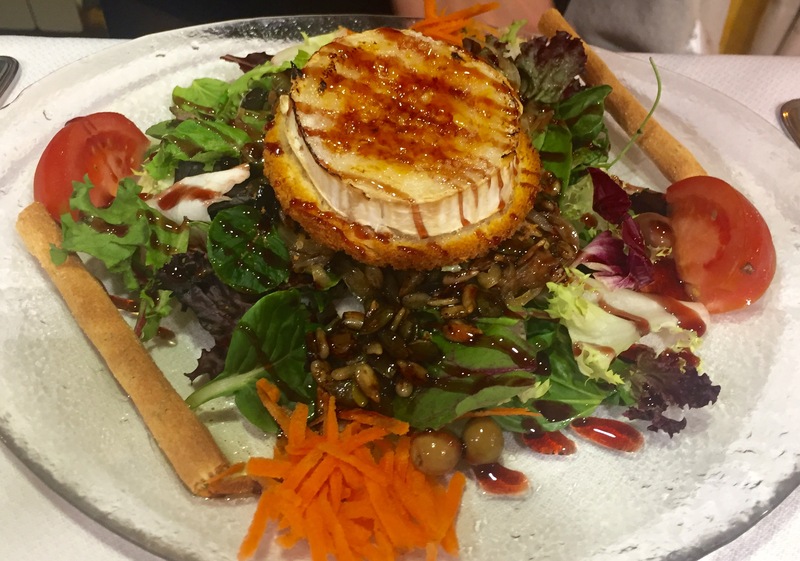 A marriage of Spanish flavours made in heaven. Montblanc is known as the centre of the Cistercian Route. It was founded in 1163 by King Alfons I and a lot has happened inside its protective medieval walls. The legendary fight between St George (Sant Jordi) and the dragon is alleged to have taken place here and the day is celebrated every year with a festival and the exchange of flowers and books. I could have meandered its cobbled streets for hours – popping into one (or several) of the many bars, cafes and restaurants scattered along them. And now it’s time for lunch again. My favourite part of this amazing trip with its myriad highlights was soon turning into lunchtime. And today cemented it. 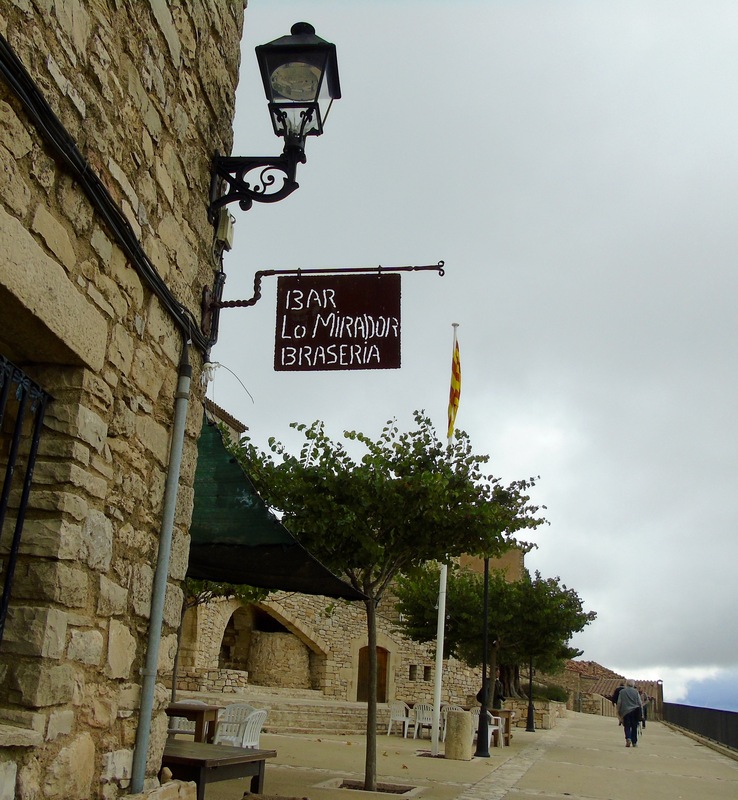 We wound our way up narrow mountain roads to the village of Fores where we were welcomed into the Mirador de Fores, another cosy little restaurant with far-reaching views from on high across to the sea. The chef’s passion was clear in his descriptions of every dish (even with my limited Spanish I could get that much). 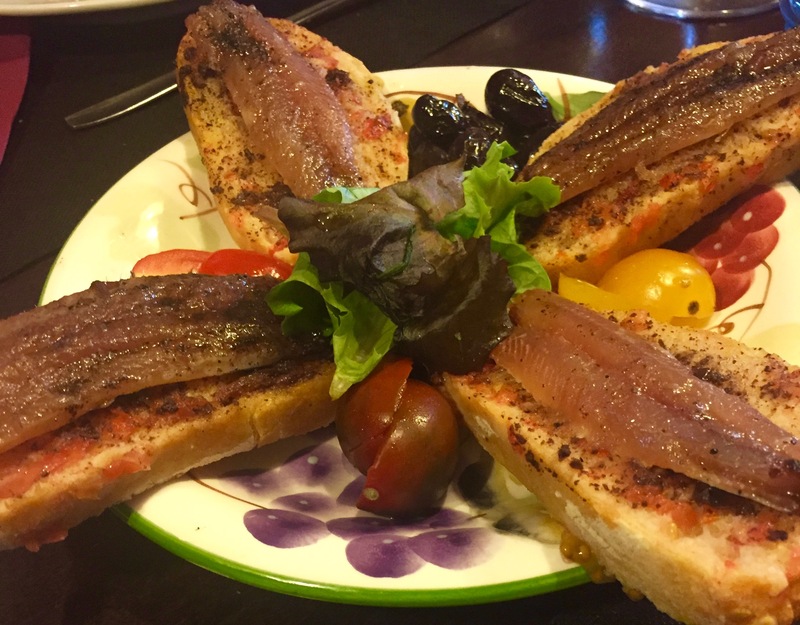 He had our whole menu planned and we started with the juiciest of anchovies atop tomato and olive bread. A rustic classic bursting with flavours. 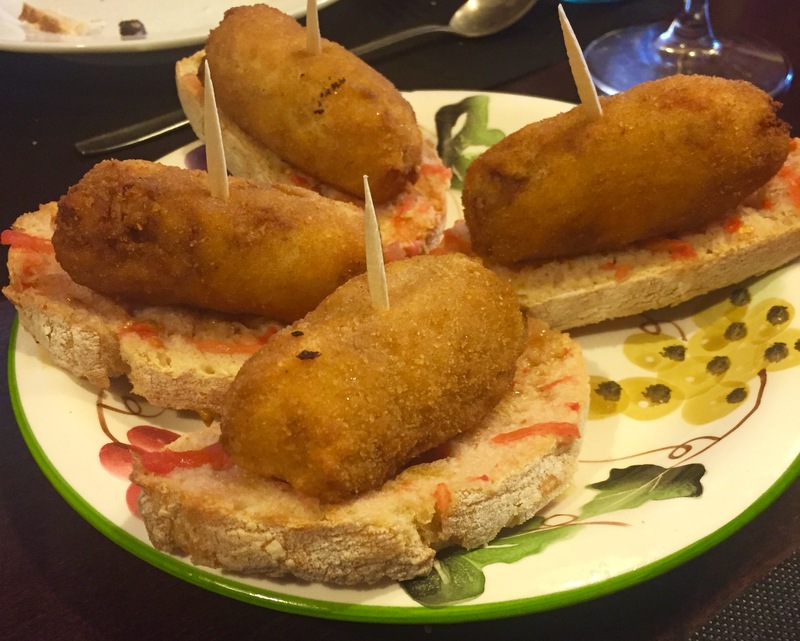 And then croquettes – described by the restaurant as the best in the world! A huge claim but a fair one, I’ve eaten my share of croquettes and these are definitely up there. 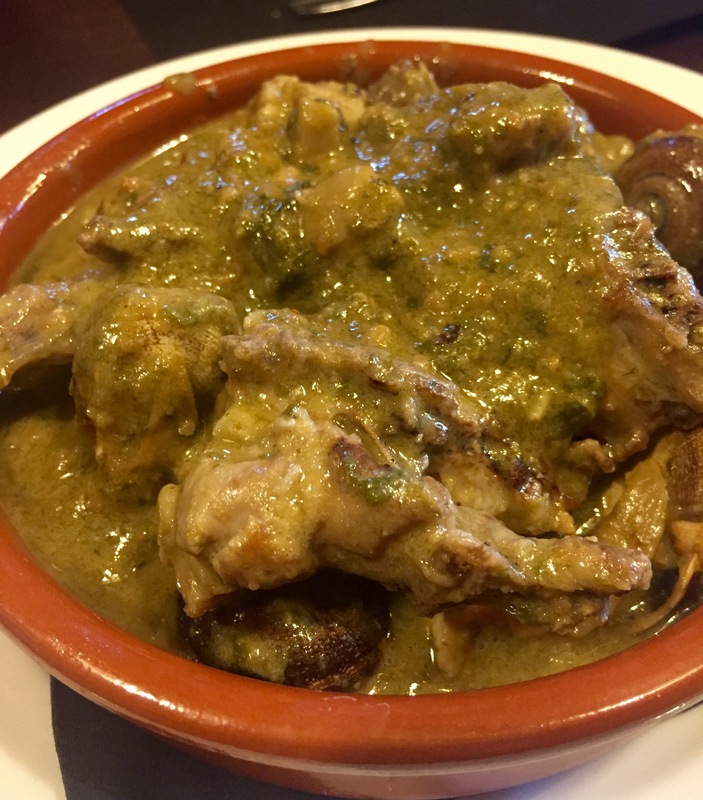 Large, and packed with chunks of chicken and luscious sauce. 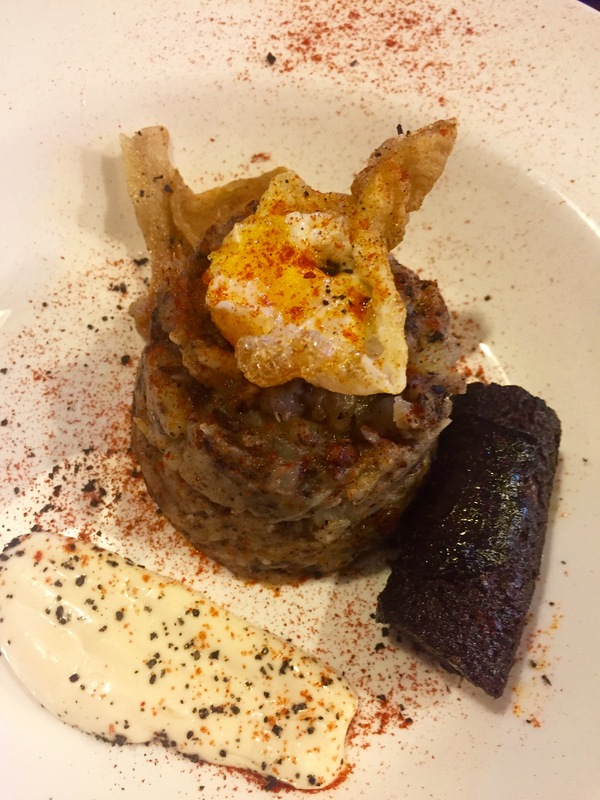 Next course was this clever assembly of black sausage, a vegetable tower of potato and onion and crunchy crackling on the side. 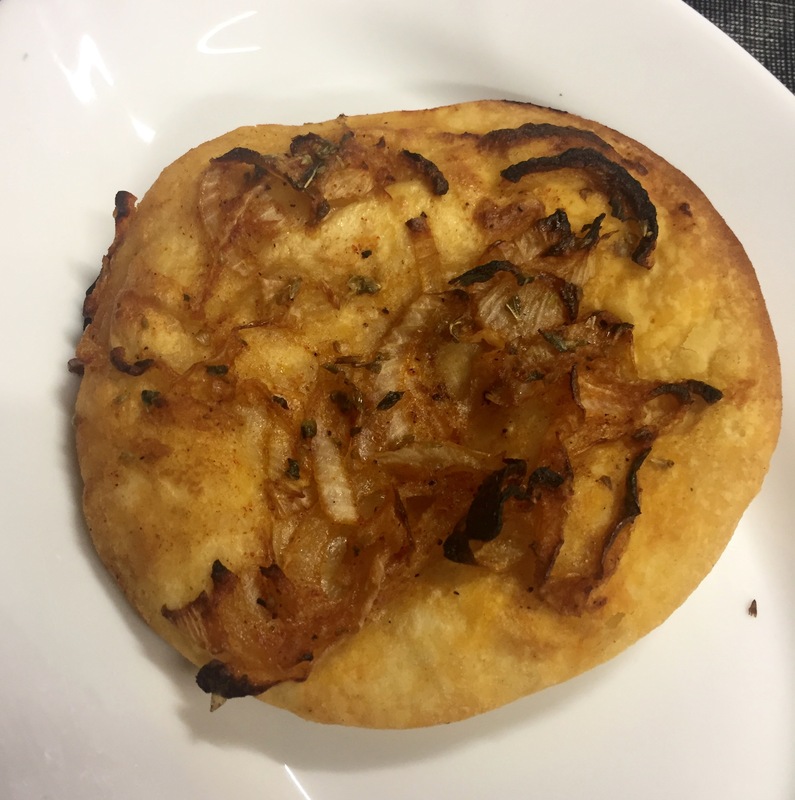 One of the nicest things I’ve ever tasted – I’ve got to try to work out how to make it myself. Or go back there soon! And the good stuff just kept coming. Slow cooked shoulder of lamb that melted in the mouth, sweetly caramelised onions and a crunch of fried aubergine. Ingredients couldn’t get much simpler or produce a tastier result. 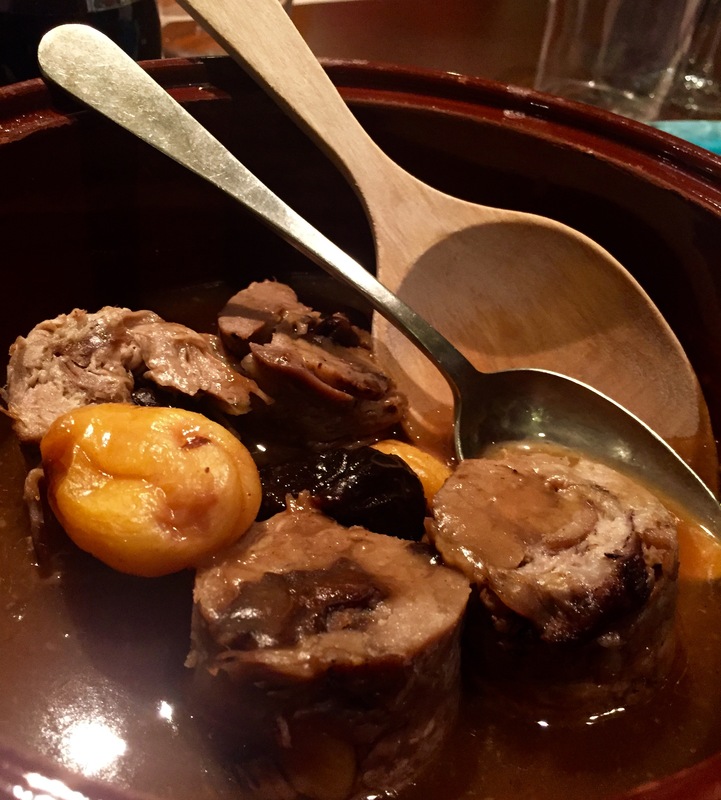 We also sampled a local stew made from rabbit, snails and chicken, traditionally eaten by the workers on the land. 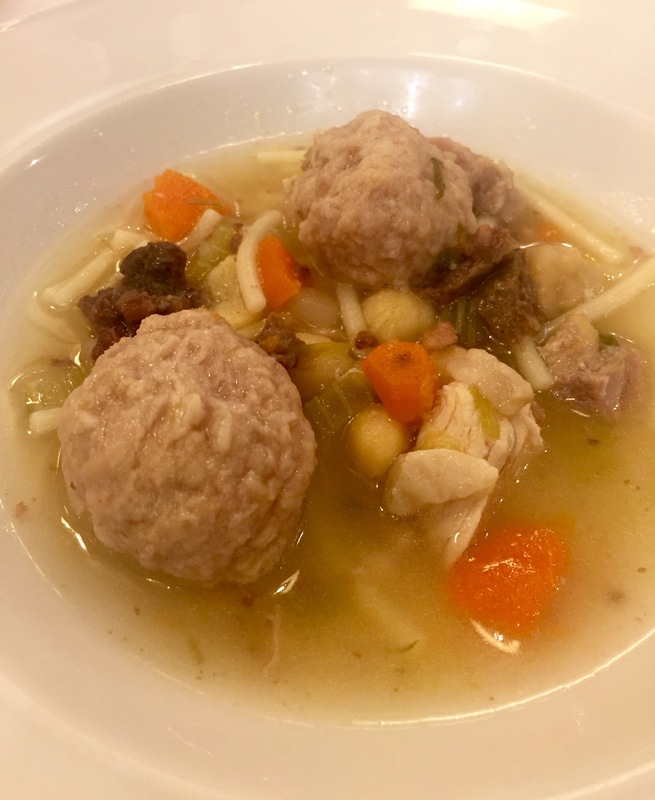 Hearty fare designed to give you strength. 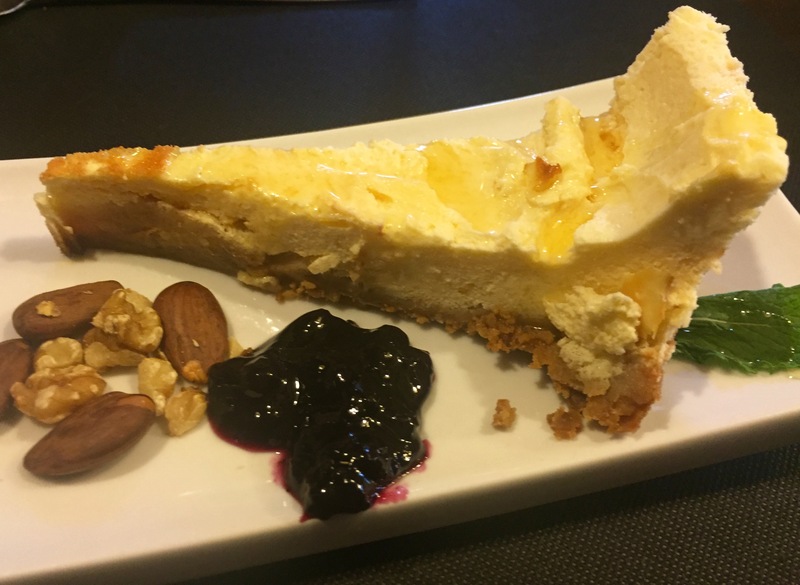 Dessert was a luscious cheesecake served with nuts, preserves and local honey. Heavenly. 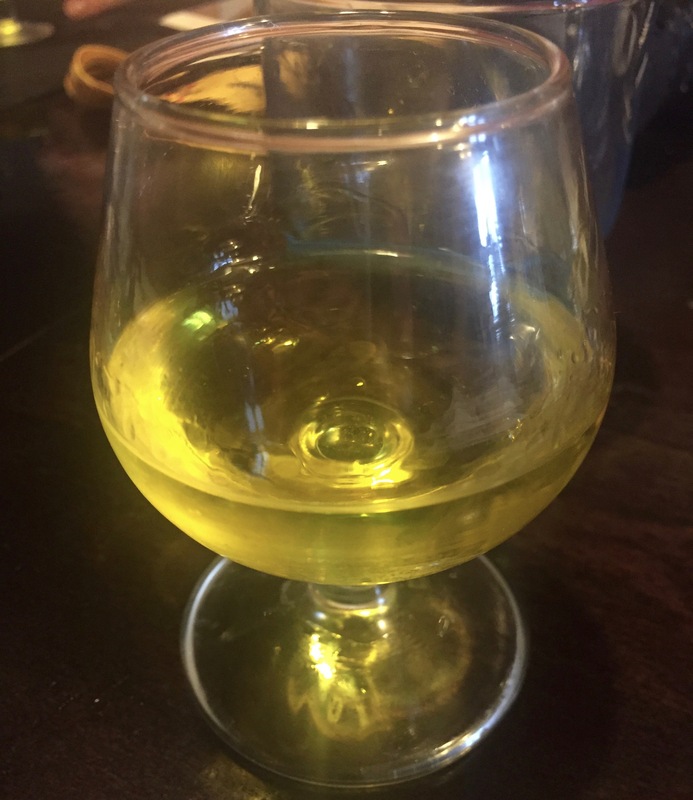 One of my Spanish colleagues on our trip through Catalonia introduced me to Orujo – basically the local liquor drunk as a digestive after an indulgent lunch. The appropriate way to finish off your feast that definitely helps with the digestion. Thank you Jose, a new Spanish tradition that I’ve embraced. 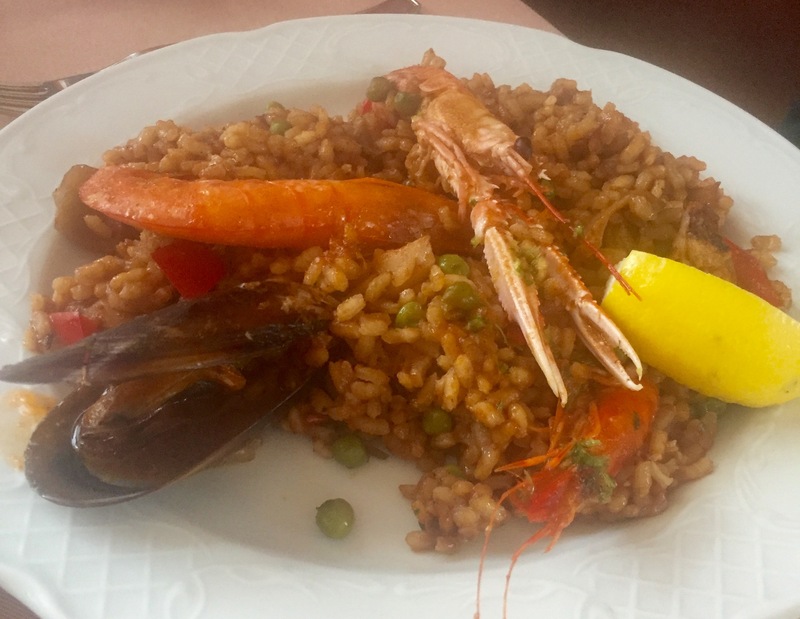 Phew, that was some lunch – I’d go back to Catalonia just to repeat the experience. Seriously. A new day dawns and it’s hiking time again. Today we took in scenes from the Spanish Civil War – lookout points, foxholes, bunkers cleverly hidden in rolling hills. A sobering sight and reminder of Spain’s recent and somewhat brutal history. Final destination, the monastery in Vallbona de les Monges, the only female monastery in the region and it still houses eight nuns. And then of course it’s lunchtime, in another sleepy village. 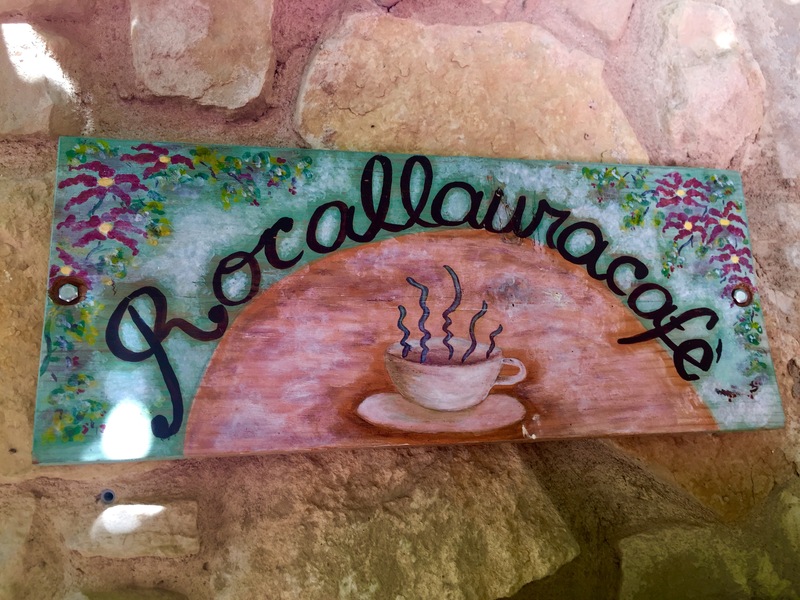 Rocallaura Cafe was full of locals on a sunny Saturday and offered simple, tasty fare. Final stop on our Catalonian odyssey is Verdu. Famous for its handmade ceramics (love a Spanish ceramico), imposing castle and the Miro a la Taula. What better way to encapsulate Catalonia’s many treasures than a last-night dinner celebrating the art, food and wine of Spain. At Miro a Taula you’re guided through two tastings. 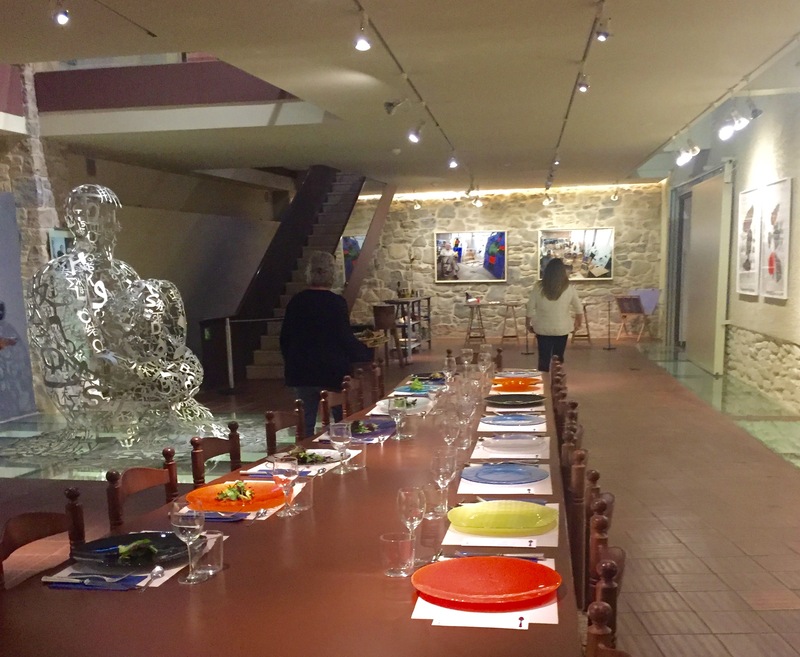 The art of Miro and his contemporaries, including Dali, Picasso, Calder, Chillida and Barcelo and the food they ate. Fabulous tapas, great art and the opportunity to absorb it all in peace and without crowds, a truly unique experience. Followed by a delicious dinner in the gallery. I think this is the longest blog story I’ve ever written. And that’s because there’s just so much to share with you about this party of beautiful Catalonia. What a journey it was. I was a guest of the Catalan Tourist Board on this trip. 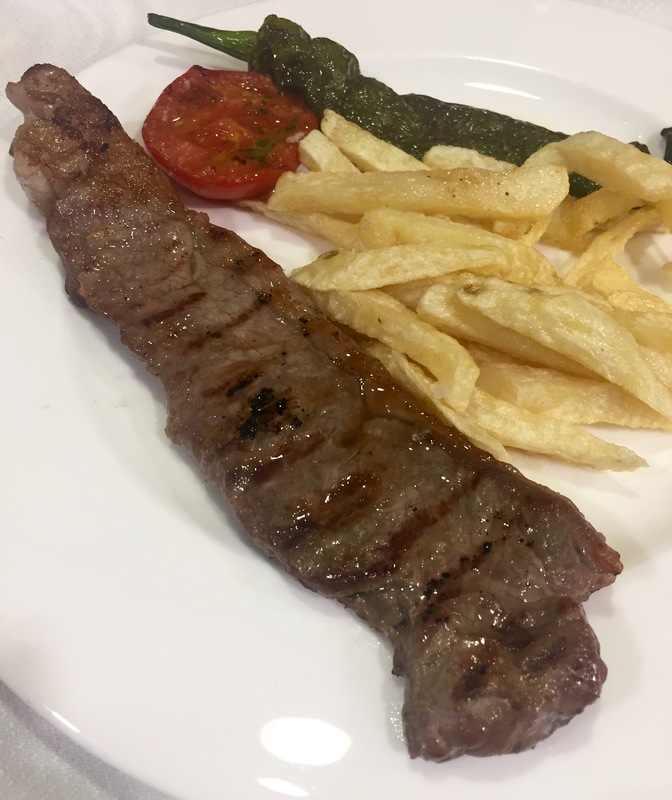 Seems like you enjoyed a good combination of sightseeing and great food! 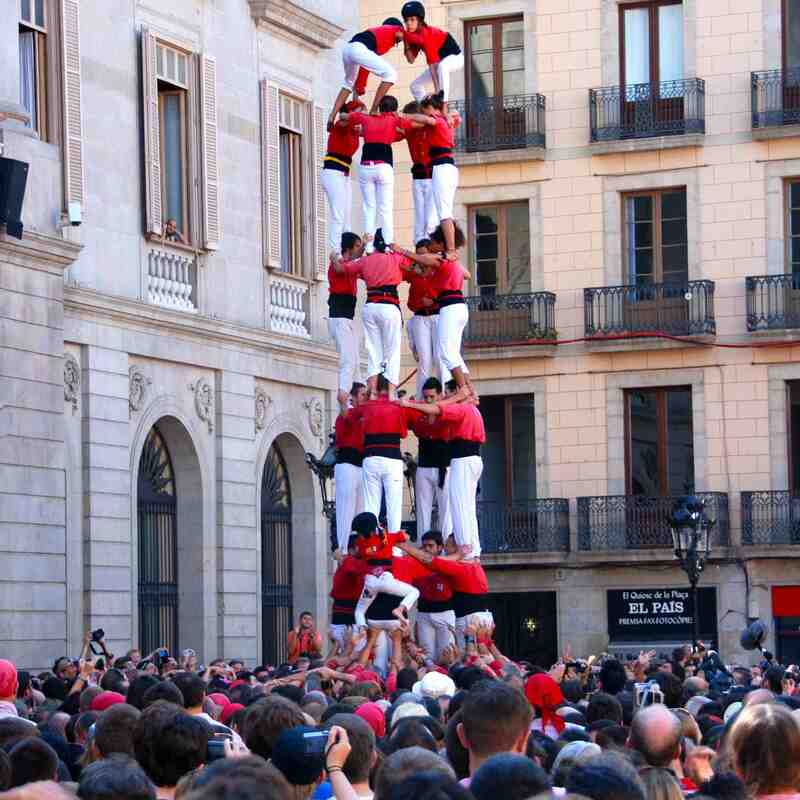 And those human towers… wow!! I do like the idea of it Fiona and I love romesco sauce! Any excuse to go back there. 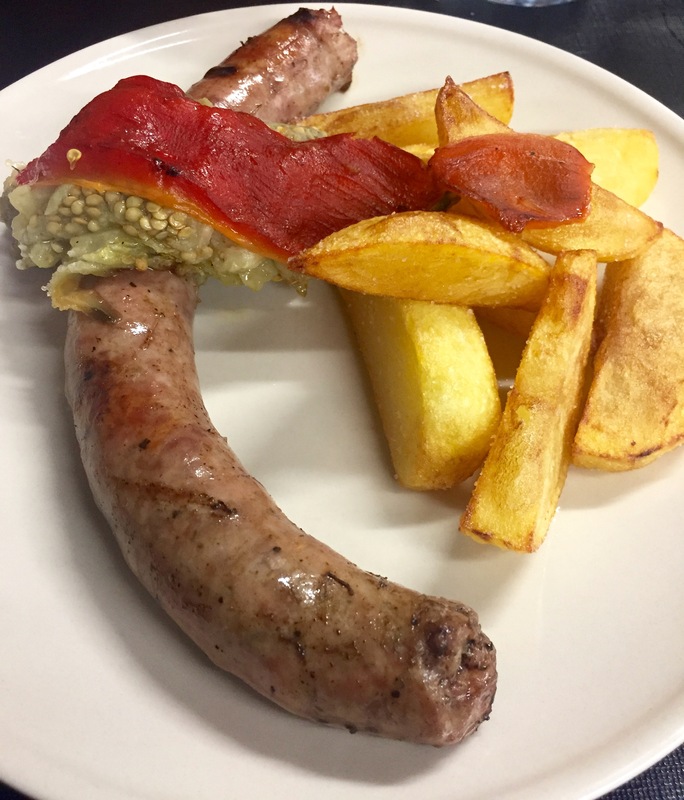 I see what you mean by eating your way through the Cistercian Route – great food I see – Love a bit of caving too. This is a bit of Spain I don’t know at all but it looks lovely! The food all looks great and I’d love to try those tempura spring onions. YUM! Love this part of Spain! 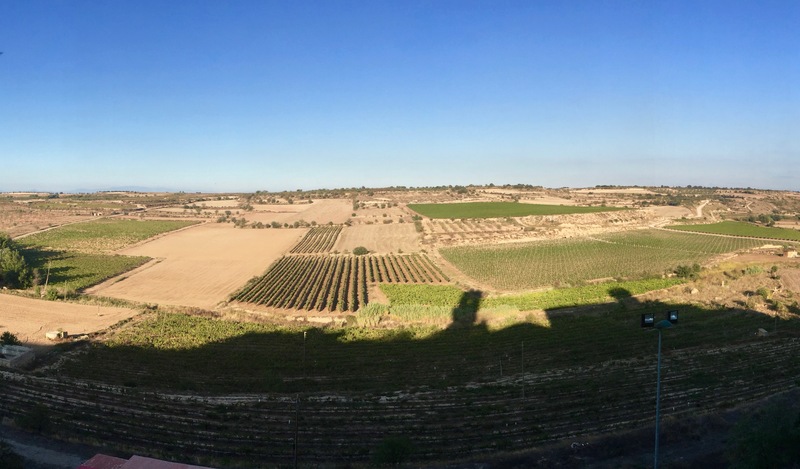 If you loves this area you should try Jerez in the deep south next. I think you would fall in love with it! I definitely would like to visit Jerez, thanks for the recommendation. Must make a plan for the future. The food was really lovely – they are so proud of their onions. And the scenery is stunning! Absolutely, we did and ate a lot. And the human towers were totally amazing. The whole village gets together and works on it, it really unites everyone.